At 60 calories per bar, and made with real mango fruit, these seemed to fit the bill. I was a little nervous — How delicious could it be? At almost $4 for the box, I didn’t want to be stuck with 5 extra popsicles if I didn’t like the first one, you know? Luckily, this flavor was also sold individually, so I bought two and called it a night! These are literally the most delicious things I’ve ever eaten. Each bite tastes exactly like creamy, tangy, sweet and juicy mango — Just like it had been fresh picked and ripened to absolute perfection! I’ve never had anything mango flavored that actually tasted like true mango until now. The popsicles do melt pretty quickly, but I can assure you that having to eat them fast won’t be a problem — You’ll want to shove the rest of the bar straight into your mouth after the first bite. They’re that good. 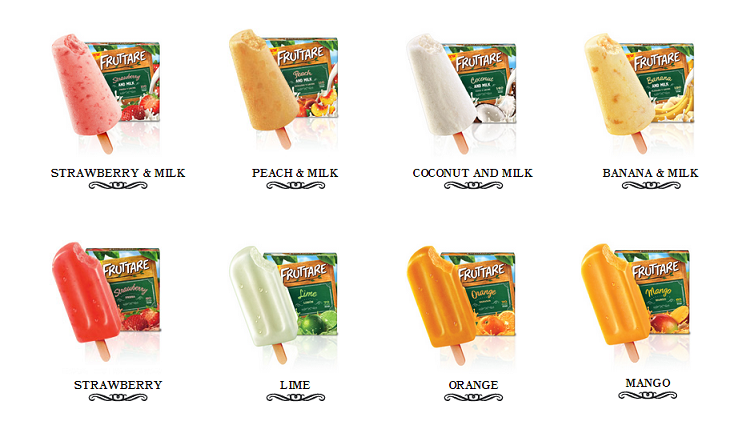 Fruttare makes a handful of other flavors, too. I’m hoping to try them all eventually, but some of the others (especially the ones +milk) have a higher calorie count. 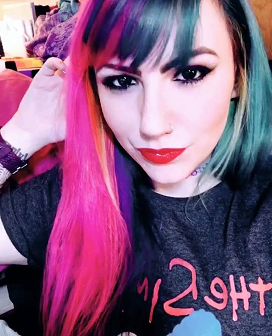 And since these are already pretty damn near perfect, I don’t feel the need to switch it up anytime soon! 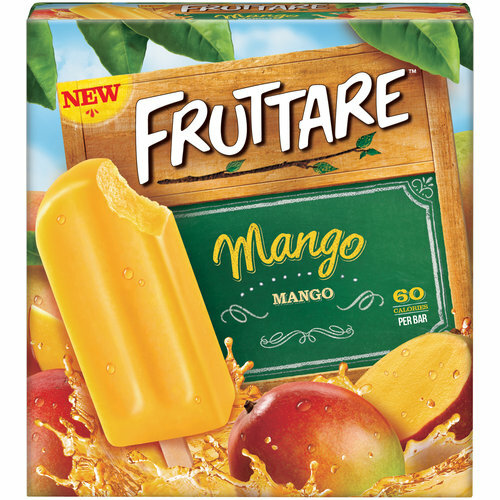 I would DEFINITELY recommend these to anybody who loves mango, popsicles, fruit and/or deliciousness. I’m serious. You should go out and get some RIGHT NOW! You can ‘like’ Fruttare on Facebook by clicking here! I’ve now also tried the Banana & Milk and the Coconut & Milk!! The Mango one is still my absolute favorite but the Banana and Coconut bats are AMAZING! You should try Chunks O’ Fruti bars. They’re similar but wayyyyy better. 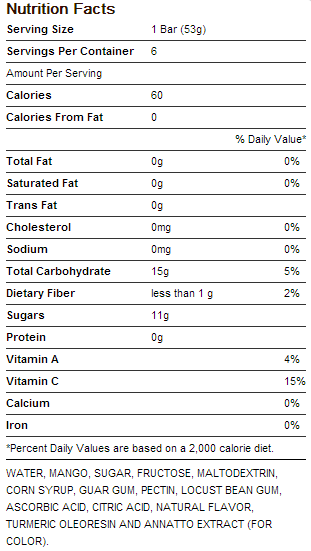 Made with more real fruit (it’s the first ingredient) and none of the weird fillers that some of the Fruttare bars have. They have their ingredients on their website at http://www.nfc-fruti.com. where did you buy them?? what grocery store?